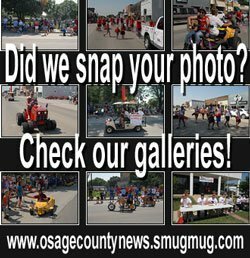 The following information was compiled from records at the Osage County Courthouse July 31 through Aug. 4, 2017. Eldora M. Thompson Trust to Alex L. Boss, Shawn Conklin and Lindsay Conklin. Odd Lots 1-5, Block 2, Dodds and Boyd’s Addition, Osage City. Bertie Lou Wymore to Shawn Conklin, Lindsay Conklin and Alex Boss. Odd Lots 25-29, Block 6, Dodds and Boyd’s Addition, Osage City. Eldora M. Thompson Trust to Alex L. Boss, Shawn Conklin and Lindsay Conklin. 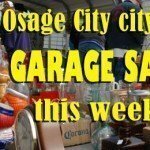 Odd Lots 1-9, Block 17, Original Osage City. Eldora M. Thompson Trust to Alex L. Boss, Shawn Conklin and Lindsay Conklin. N 67’ Odd Lots 1-9, Block 17, Original Osage City. Michael R. Leuszler and Germaine A. Leuszler to Robert W. Scheid and Susan Warner Scheid. Tract SW 1/4 21-16-16. James F. Henry Jr. and Tracie Henry to Alex L. Boss, Shawn Conklin and Lindsay Conklin. N 114.85’ Lot 1, Block 2, excluding E 100’, coal and mineral, Rosenberg’s Addition, Osage City. Jerry Knauber Sr. and Jerry Knauber Jr. to Christopher William Fine. S 1/2 Lot 52 and all Lot 54, Third Street, Quenemo. Kastle Farms LLC to Joseph Miller and Kathleen Miller. NW fr 1/4 33-15-14. Branch Banking and Trust Company to Greg Bryant and Florence Bryant. Lot 3, Tucker Subdivision “C”, Carbondale. Cynthia E. Wymore to Drake Legacy. Lots 31 and 33, Block 4, Admire and Scott’s Addition, Osage City. Gerold M. Grandstaff and Sherry A. Grandstaff to Craig Wayne Kimball. 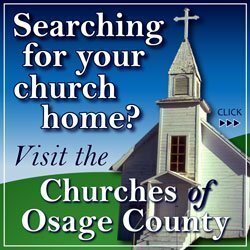 Odd Lots 1-6, Block 34, Original Osage City.